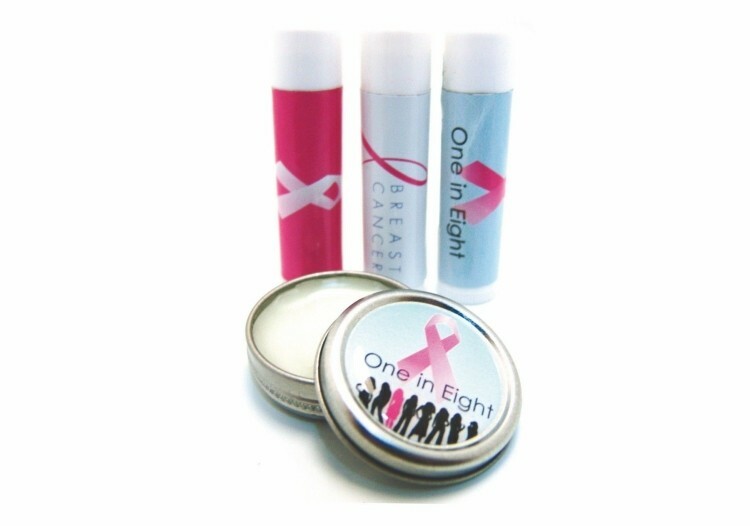 Since Breast Cancer Awareness Month takes place October of every year these promotional lip balms are a great way to show your dedication to the cause. 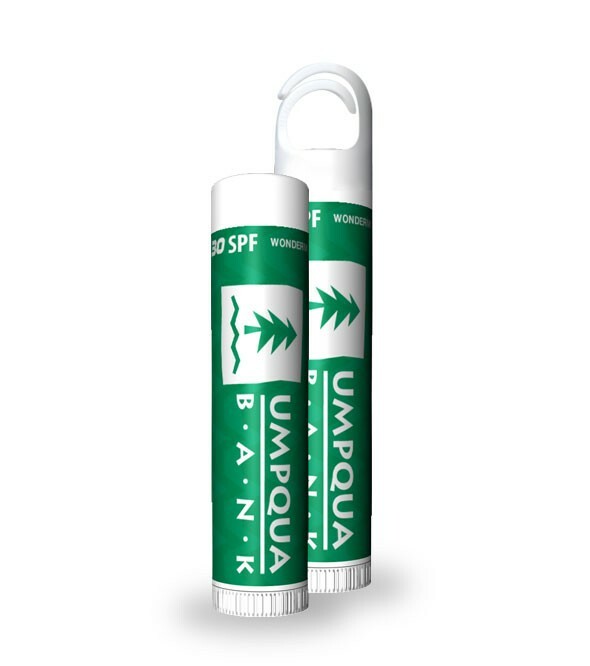 These lip balms offer SPF 30 protection and are especially designed for fundraising efforts. 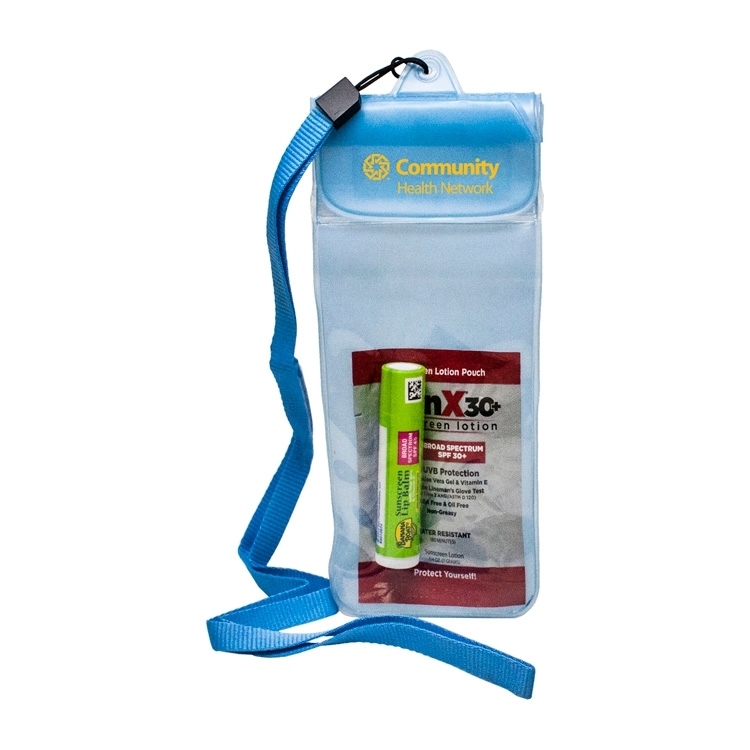 An excellent giveaway for walks, marathons, or charity events. Have this lip balm customized with our four color process to create a product that will spread awareness for the cause all year around. This SPF 15 lip balm is just what you need to soothe and heal dry, chapped lips. Made with natural oils and waxes, it provides an extra-moisturizing result that is ideal for protection against harsh outdoor conditions. 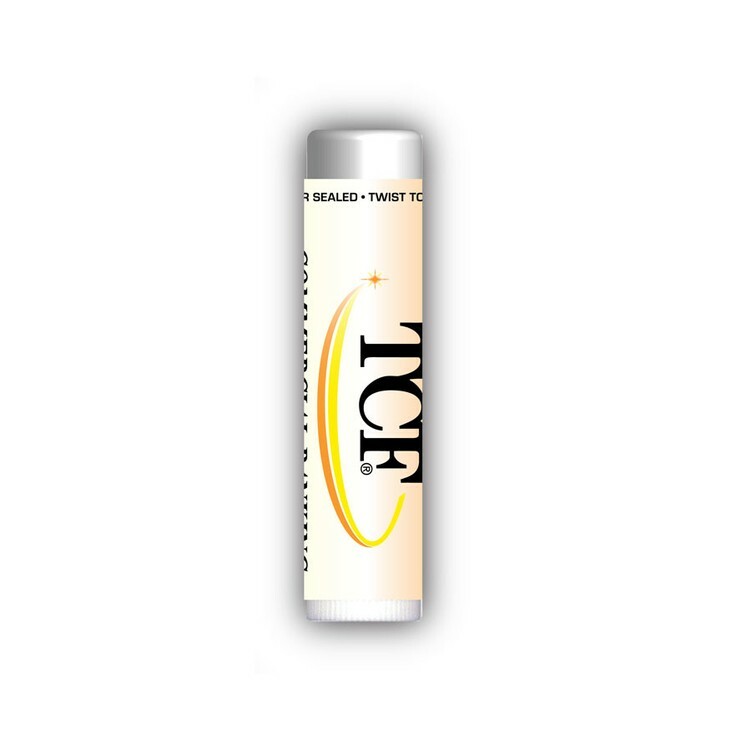 Its eco-conscious FDA approved formula and smoother application will keep this balm on your customers' lips! 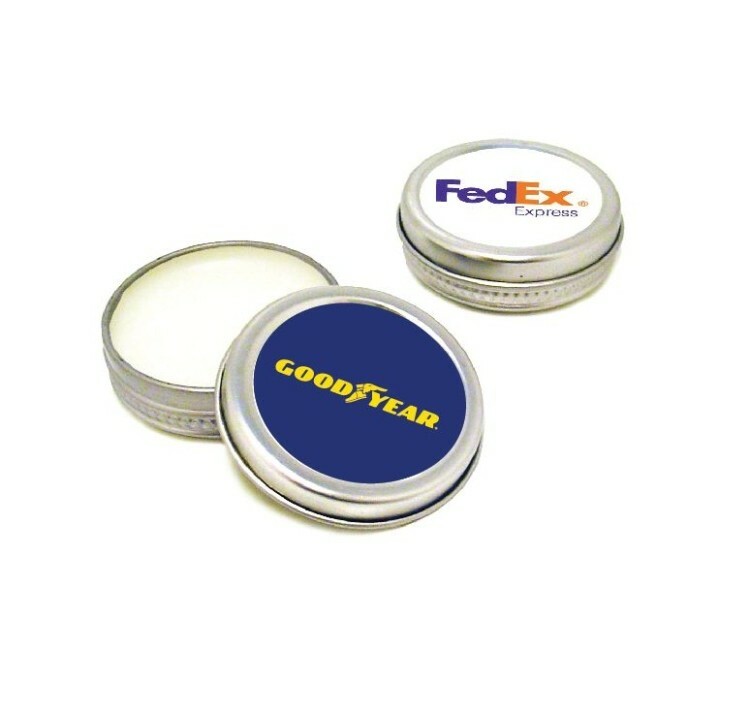 Comes in a 1.5" x 0.5" tin with a full color label that vividly represents your company name and logo. This SPF 30 lip balm is just what you need to soothe and heal dry, chapped lips. Made with natural oils and waxes, it provides an extra-moisturizing result that is ideal for protection against harsh outdoor conditions. Its eco-conscious FDA approved formula and smoother application will keep this balm on your customers' lips! 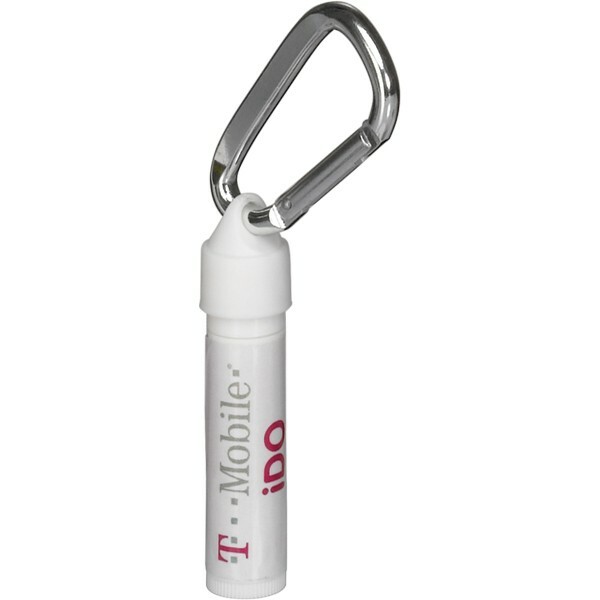 Comes in a white twist-up tube with a white cap and a full color label that displays your company name and logo. 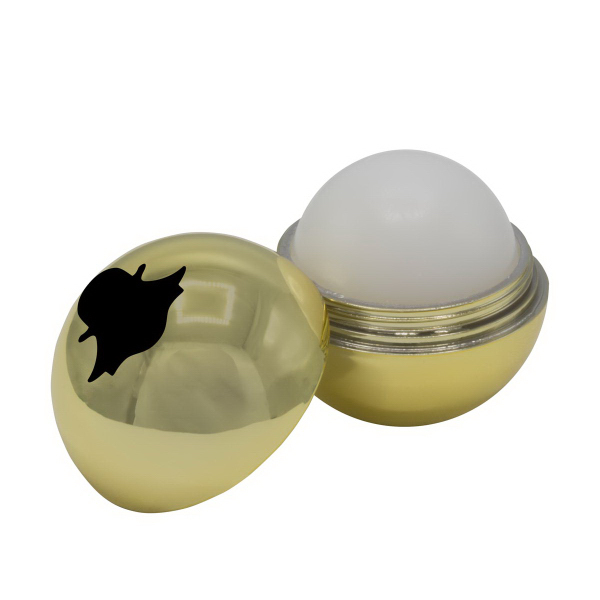 3 Day Service - This SPF 15 lip balm is just what you need to soothe and heal dry, chapped lips. Made with natural oils and waxes, it provides an extra-moisturizing result that is ideal for protection against harsh outdoor conditions. Its eco-conscious FDA approved formula and smoother application will keep this balm on peoples' lips! 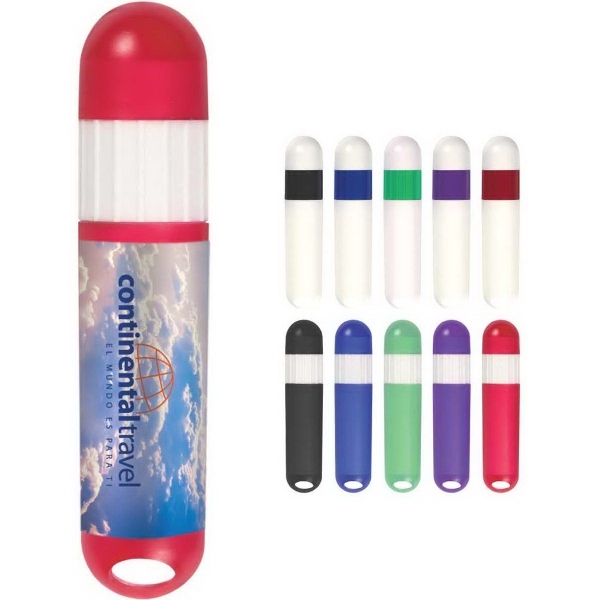 Comes in a white twist-up tube with a white cap and a full color label that displays your company logo! 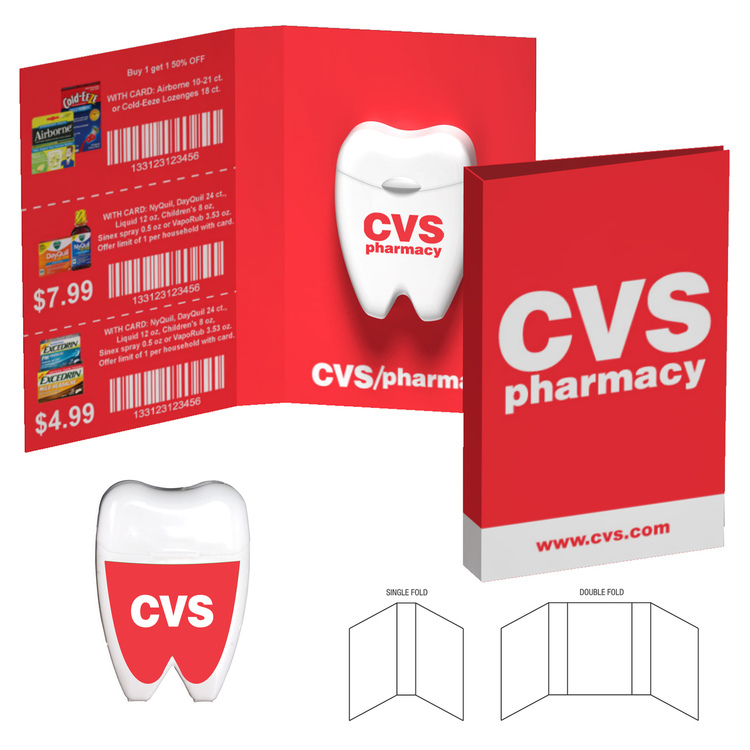 Fully customized booklet includes imprint on both sides of the card with full-color process lip balm. This unique product allows you to further your promotional outreach by adding a coupon, QR code, website and so much more. Share your story with these Tek Booklets. Pick your option of a single or double fold. Default location for Item will be on middle panel for Double Fold Tek-Books. Default location for Item will be on right side panel for Single Fold Tek-Books. Chap Ice® SPF 30 gives you ULTRA PROTECTION from the harsh elements. Use it all the time! Tangerine is a new flavor that took off! The sweet and juicy flavor is a great addition to our Chap Ice® line. This slimline kit will fit just about anywhere and it has a carefully designed fill suitable for any outdoor mishap. 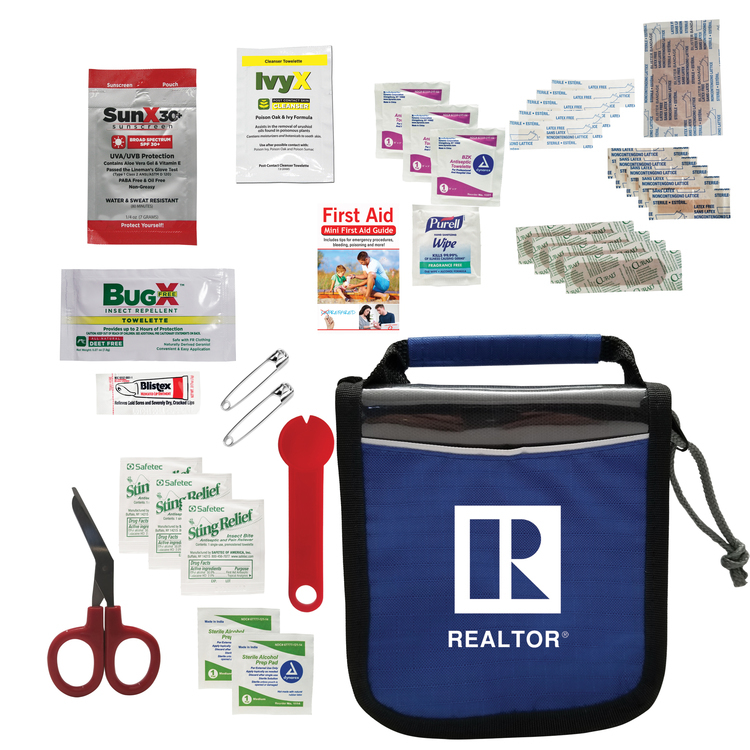 It includes: 1 Blister Bandage 1.5" x 1.5", 1 Bug-X Insect Repellant , 1 Lip Balm Packet, 1 Premium Sunscreen Packet, 1 Scissors - 5" Stainless Steel, 2 Safety Pins, 3 Sting Swabs , 1 First Aid Basics Guide , 4 Flex-Fit Bandages 3/4" x 3" , 5 Junior Bandages 3/8" x 1.5", 5 Butterfly Bandages , 1 Purell Anti-Bacterial Wipe and more. Compare and save. U.S.-made premium vanilla flavored lip balm with Shea Butter, Aloe, Vitamin E and UVA/UVB protection (SPF 15). Price includes a 4-color process tamper-proof laminated decal. Lamination protects your investment. Comes in Regular, Pomegranate, Mint or Vanilla flavor. Call for special requests or flavors. Made at an FDA approved facility. 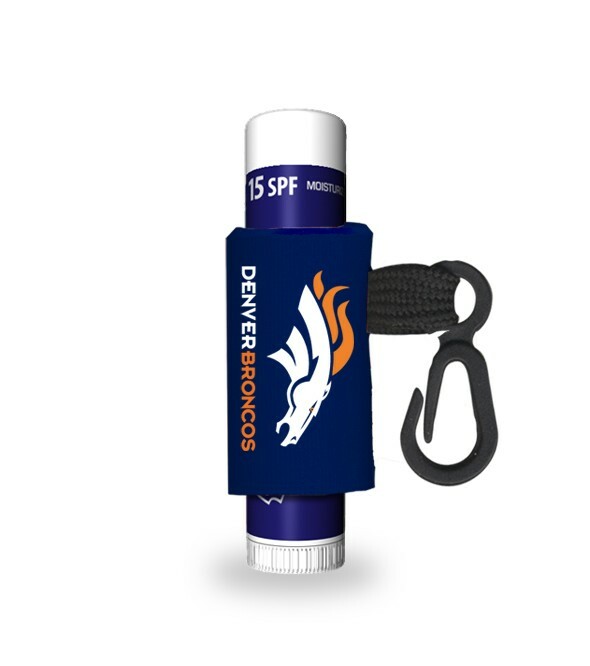 Water resistant pouch with travel size amenities including: 1 Sun-X SPF-30 sunblock lotion pouch and 0.15 oz. Banana Boat Aloe Vera lip balm with vitamin E. Decorations: Print on Top Closure: W 2" x H 3/4" Included Print on Clear Face: W 1-1/2" x H 2-1/4"
All natural Orangeade flavored lip balm chapstick w/ white tube and Orange beeswax. Laminated 4-color decal. Voted best taste and smelling lipstick made in the USA following FDA testing guidelines for quality assurance. Our natural beeswax lip balm FlavorMania comes in 100 flavors. SPF lipbalm available in our LB15. For a nominal charge you can change the beeswax color w/ ten options and there are nine different color cap options for the tube. 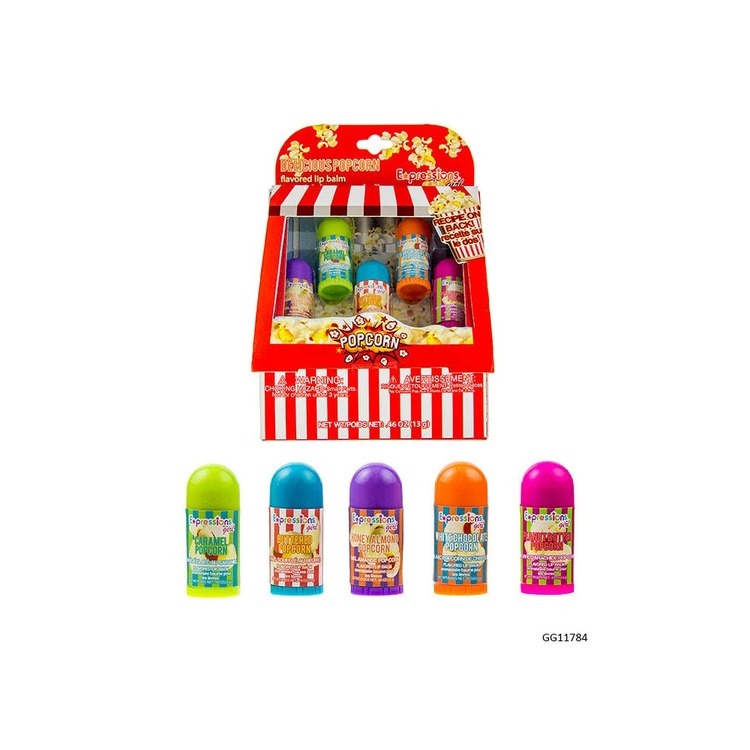 Our delicious popcorn lip balm set comes with 5 mini lip balms with fun popcorn flavors. Set comes in a popcorn machine shaped box and includes a recipe on the back. Flavors include: honey almond popcorn caramel popcorn butter popcorn white chocolate popcorn and peanut butter popcorn. DIY lip balm kits comes with everything you need to make and decorate your own lip balms. 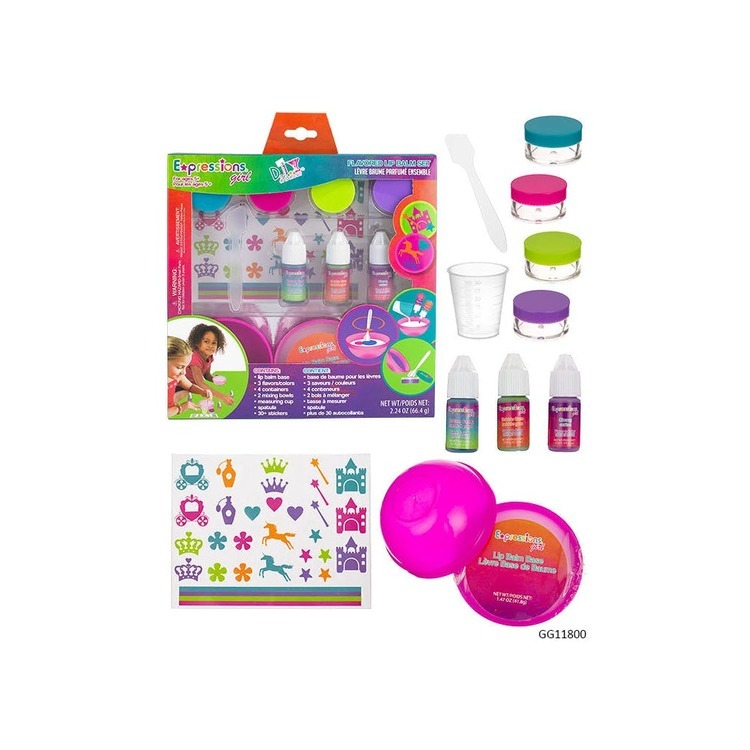 Set comes with 1 lip balm base 3 colors 4 containers for your lip balms 2 mixing bowls 1 measuring cup 1 spatula and over 30 stickers to decorate your lip balms. HumphreyLine SPF-free, all-natural lip balm. Made in USA, Paraben-free lip balm crafted from beeswax and coconut oil, available in 9 different flavors. Meets FDA Requirements. 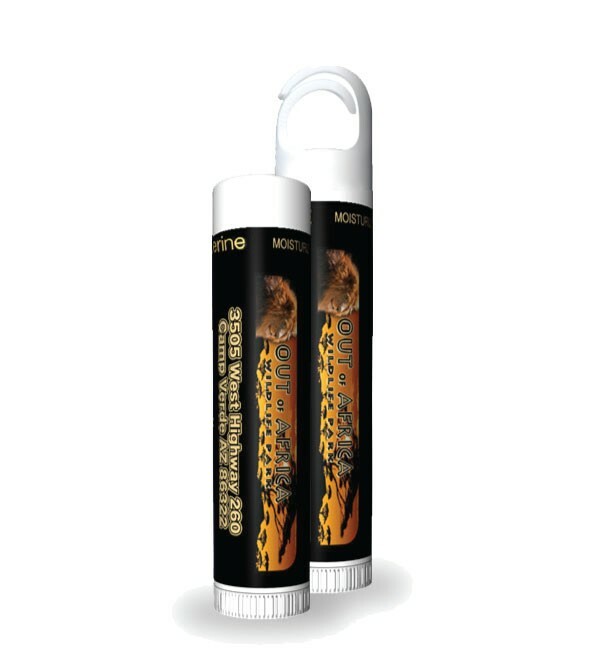 White lip balm tube with neutral color lip balm features a scratch-resistant, waterproof Tuf Gloss™ label. 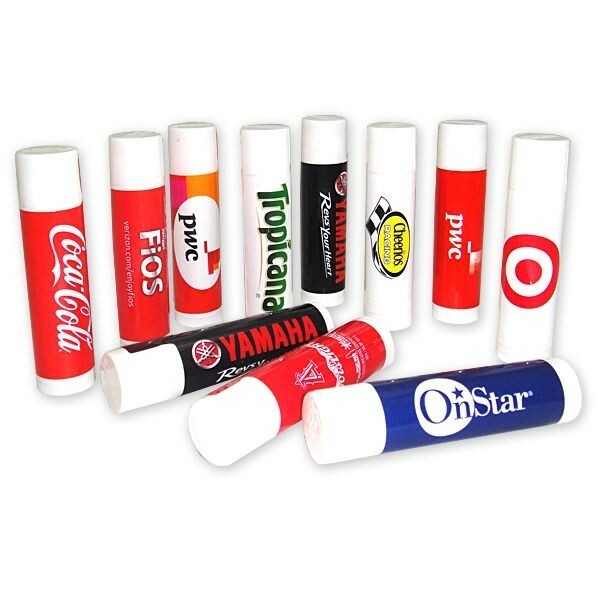 Choose from Clear or Holographic label for lip balm decoration. Clear label can be customized with a four-color process imprint. Holographic labels are available with single stock color imprint only. Also includes HL-325 Neoprene sleeve available in 13 different colors. Neoprene sleeve can also be decorated with a maximum 4-color imprint. When lip balm flavor is not specified, orders will be filled using Tropical Flavor. US Patent #D502,311 5. Item ships with Lip Balm inserted into Neoprene Sleeve. Available for shipment within United States (including Alaska, Hawaii & Puerto Rico). Not available for export. See General Information page for additional air shipment charges. HumphreyLine Made in USA, SPF15 lip balm available in 9 flavor options. Meets FDA Requirements.  White lip balm tube with neutral color lip balm. 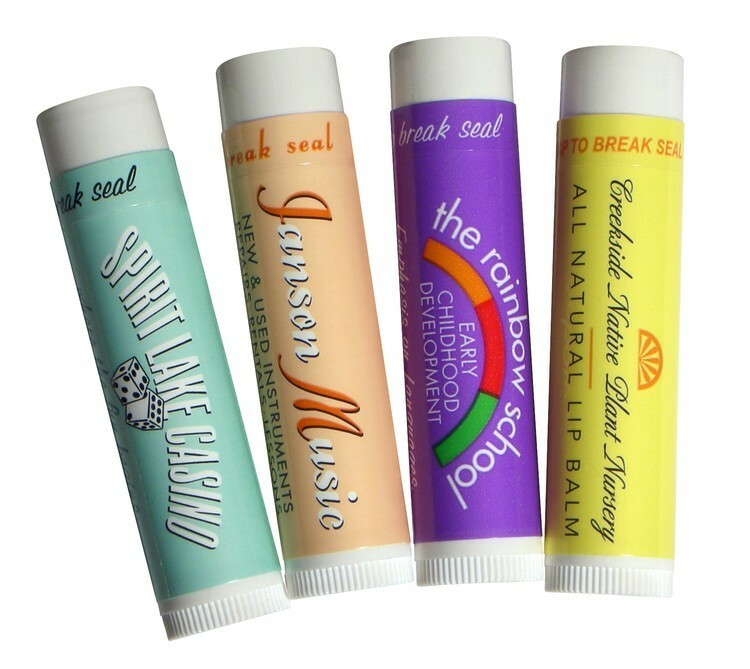 Balm tube features a white, scratch-resistant, waterproof Tuf Gloss label that can be customized with a four-color process imprint. Item also includes HL-325 Neoprene sleeve with travel clip, available in 13 colors. Neoprene sleeve also available with a maximum 4-color imprint. When lip balm flavor is not specified, orders will be filled using Tropical Flavor. US Patent #D502,311 5. Item ships with Lip Balm inserted into Neoprene Sleeve. Available for shipment within United States (including Alaska, Hawaii & Puerto Rico). Not available for export. See General Information page for additional air shipment charges. This unique mint tin is the size of a lip balm and comes filled with approximately 25 micro sugar-free breath mints. 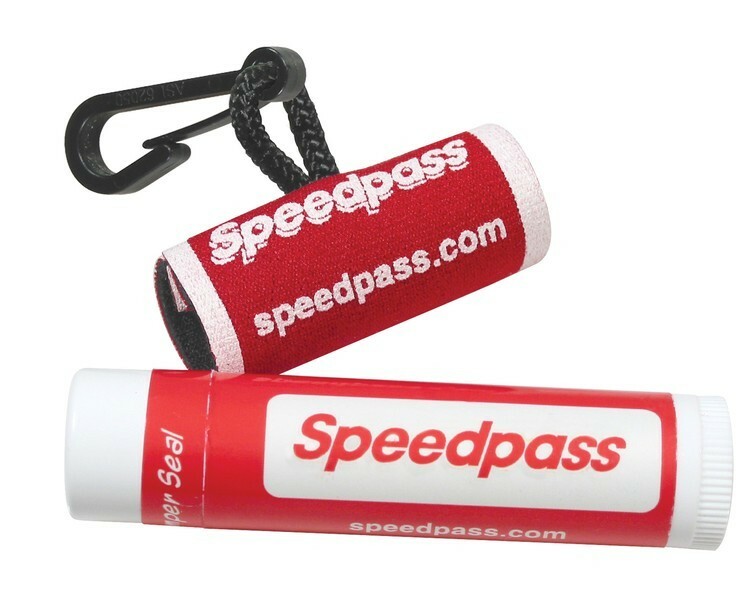 Great for trade shows, events, and general promotions. The tube is made in China and the candy is made and filled in the USA.